Take a walk through the history of photography and discover its many styles and transformations. Experience photography in exhibitions, artist talks and guided tours, in Before and Behind the Lens. Before and Behind the Lens examines the role of photographic images in art and the transformation of the medium since the early experiments with new technology in the 19th century, to today’s explorations of the potential of the optical lens. Read more: More Irving Penn! A selection of black-and-white photographs by Henri Cartier-Bresson next to Apollon (1953) by Henri Matisse. Works by Bernd och Hilla Becher, Andreas Gursky, Candida Höfer, Thomas Ruff, Michael Schmidt, Frank Thiel. Works by Larry Clark, JH Engström, Nan Goldin, Anders Petersen. Works by Annika von Hausswolff, Jeff Koons, Barbara Kruger, Robert Mapplethorpe, David Robbins, Cindy Sherman, Jeff Wall. Works by Tuija Lindström, Sally Mann, Duane Michaels, Cindy Sherman, Martha Wilson, Francesca Woodman. Works by Elina Brotherus, Maria Hedlund, Ulf Lundin, Nelli Palomäki. Find the works on view in our galleries right now with our search tool Search the collection. 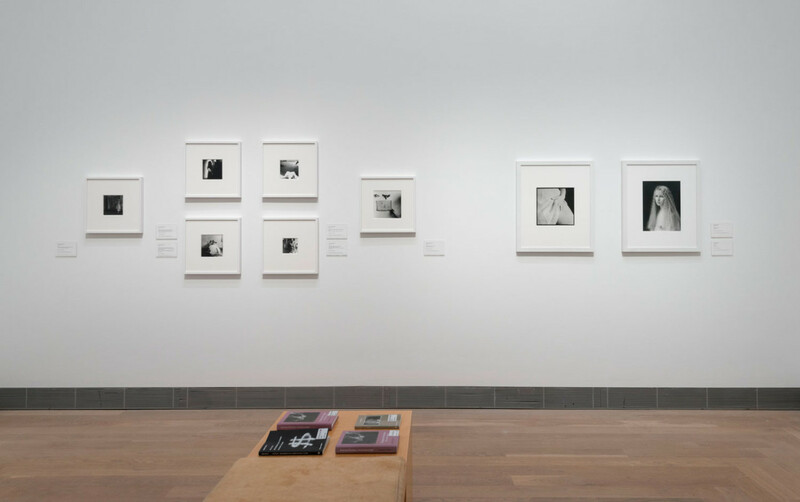 The themed guided tour of ”Photography and Art: photo-based art from the 1980s to today” guides you through the history of photography. Admission free, no booking. In Swedish. Artist talk with Annika Eriksson, Maria Hedlund and Ulf Lundin (in Swedish). An artist talk about two contemporary photographers and their relationship to early photography, with Jenny Källman and Martin Karlsson Tebus (Golden Sunset). Moderator: Anna Tellgren, curator (in Swedish). Film screening “The Big Scene”, with an introduction by Tova Mozard. In the Cinema. Moderna Bar will be open after the screening. Gerard Byrne talks to the curator Magnus af Petersens at the opening of the exhibitions Gerard Byrne – Jielemeguvvie guvvie sjisjnjeli – Film inside an Image and Written in Light – The First Photographers. 2nd Floor. Eva Stenram, Linda Hofvander and Julia Peirone talk to the curator Magnus af Petersens. In the exhibition Golden Sunset, floor 4. After the discussion, Art and Theory will present books with their photographs. In the Moderna Bar.